If you love video games you've likely watched several streams on twitch which stand as one of the largest websites for video game broadcasting. 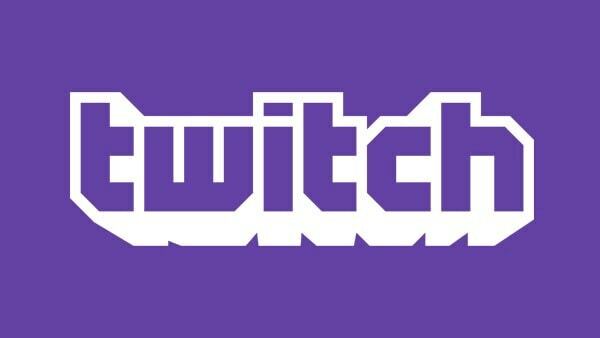 Twitch currently has over 100 million unique visitors that make their way to the site every month and there are also thousands of streamers that stream their gameplay footage almost every day. In order to compete with the massive amount of people online so that your stream can garner views, it's important to learn how to stream gameplay over twitch. In order to get started you will need to create a free account on Twitch.tv. You don't need to have any specific account in order to comment on the streams or watch the streams but you need to create an account before starting your own video streams or following streams. Start by creating your own login at Twitch.tv and then download the broadcasting application for your PC or set up broadcasting from your console. To start your first broadcast pick out the game that you're going to be playing, the language are going to broadcast in, a catchy title for your broadcast and then configure your stream to start. Livestream from twitch with the PlayStation default settings is the simplest option for ps4 users. Simply start to push the share button on the PlayStation controller and then hit the broadcast option. You will be prompted to login to your Twitch account and pick out the title/streaming options with the set broadcasting button available next. Comments during the stream will appear on the narrow scrolling display and you can respond to them with a USB keyboard if you have one. Your streaming session will be ended using the share button on the remote. Streaming from the Xbox one has become quite easy by downloading the Twitch application in the Xbox live store. Once you have installed the Twitch application you can sign into and click the broadcast button. After punching in a six digit code that you can activate by looking at your account on the Twitch website, your Xbox one will be configured to launch streams. Be sure to pick out the adult settings on your broadcasting screen as default for the Xbox one. Also be sure to allow any broadcasts from game DVR uploads as an enabled option. To begin broadcasting you just need to open up the game and then say "Xbox, Broadcast" if you have Kinect. You can also open up the broadcast from inside the Twitch application by clicking the start broadcast screen. With the Kinect camera you can capture footage from yourself playing and the gameplay or just the gameplay. When streaming from your PC you will have to download at least some type of capture program such as XSplit Gamecaster for gathering the footage from your pc gaming session. Simply create your own XSplit account and download the game Caster software as well as install it. After installing the XSplit gamecaster software you can login to your XSplit account and start live streaming to your Twitch account. The authentication window prompt will allow you to open up your Twitch account and launch a game for broadcast. Click the control and tab key after the game is launched and then use the stream option to enable the webcam for display. XSplit Gamecaster free version maybe not necessarily the best option as it does come with a watermark and limited options for HD streaming which many people request over Twitch. Frames per second are also relatively limited and this can be a problem if you are trying to display a really immersive gaming experience. Streaming on the console for now is a bit easier and if you do plan on streaming on the PC you may want to consider investing in the full version of XSplit or trying your hand with some of the other software options available. By offering a high-quality stream and playing a game that's in demand, you can work at improving your viewership on Twitch.